The main tub is the workhorse, taking on your biggest, bulkiest family-size loads like towels and bedding, while the SideKick gives delicates, hand washables and workout wear the special care they deserve. The two tubs, one for washing and one for spin drying will be useful to you. The machine runs off 110v power and will take up to 8 lbs capacity for washing and 4.5 lbs capacity for spinning. Rated Spinner Dryer Capacity: 4.5 lbs. 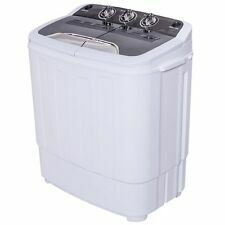 The Samsung 9100 Series Front Load washer has a 5.6 cu. Samsung's breakthrough SuperSpeed technology provides a faster and more thorough wash cycle. With SuperSpeed, you can quickly wash a full load in only 30 minutes. Located in Madison Heights, MI 48071. See our website or call us for hours. There may be other minor imperfections present that can go unnoticed in certain lighting conditions. The unit is new in box. The largeSamsung WF45K6500AV 4.5 cu. If you forgot to include those dirty socks in the load that you just started, simply open the AddWash™ door. With Super Speed, you'll get a full load done in only 36 minutes. SKU: 30286. The unit is new. There is a dent on the left side of the unit, along the bottom half of the front edge. Condition . There may be other minor imperfections present that can go unnoticed in certain lighting conditions. Model WV60M9900AV. SKU: 33596. Located in Madison Heights, MI 48071. Color Aged Zinc. Capacity (Cu. Ft.) value 0.70 cu. Child Lock Yes (Dual Long). Total Capacity (cu. ). LG SIGNATURE SideKick™ Pedestal Washer – For Small Loads That Are a Big Deal The ingenious 1.0 cu. LG TWINWash™ uses the main washer as the workhorse, taking on your biggest, bulkiest family-size loads like towels and bedding, while the SideKick™ gives delicates, hand washables and workout wear the special care they deserve. Samsung WV55M9600AV A5 5.5 Cu. Ft. Black Stainless Steel FlexWash Washer. Samsung, WV55M9600AV. Samsung WV55M9600AV/A5 5.5 Cu. Ft. Top / 4.5 Cu. Ft Bottom Capacity. As an industry leader in product sourcing and reconditioning, we are expert in providing the best and finest quality products. 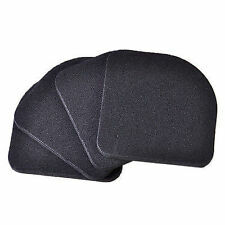 Part Number WP63907 replaces 63907, 63907D. OEM Whirlpool Washer Suspension Spring WP63907. Whirlpool Washing Machine Suspension Rod Kit part number W10780053. For Assembly of Locking Suspension Ball to Suspension Damper Rod End. 4 Suspension Damper Assemblies. Product TypeSuspension Rod Kit. LG WD100CK 1.0 Cu.Ft. 27" Black Stainless Steel Pedestal Washer Combo. Compatible with LG 27" Washer or Dryer. Step 1: After Checkout. Warm Water, Extra Rinse, Child Lock. Child Lock. 27" x 14 1/8" x 30 3/4" (50 1/2 with drawer open). 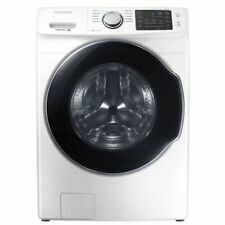 Samsung WF45H6300AG 27" Onyx Front-Load Washer 4.5 Cu.Ft. NIB NEW DAILY DEAL. Located in Clawson, MI 48017. See our website or call us for hours. There may be other minor imperfections present that can go unnoticed in certain lighting conditions. Always keep cold drinks or warm food at arm's reach with this mini fridge. It uses powerful, thermoelectric technology to quickly cool up to 11 cans or keep food warm with the flip of a switch. Conveniently enjoy drinks at your office desk by plugging it into a laptop with the USB cable. Genuine Whirlpool part number 21352320. This is a washing machine drive belt. Product TypeDrive Belt. SKU: 33600. Auto Suds Removal Yes. Wash Programs Normal, Intimates, Hand Wash, Active Wear, Rinse Spin, Tub Clean. Options Warm Water, Extra Rinse. LG TWIN Wash Compatible Yes. Matching Washer Lines WM3170; WM3370; WM3570; WM3575; WM4270; WM4370; WM5000. The unit can drain into a bucket or bathtub. Auto Suds Removal Yes. Wash Programs Normal, Intimates, Hand Wash, Active Wear, Rinse Spin, Tub Clean. Options Warm Water, Extra Rinse. LG TWIN Wash Compatible Yes. TWIN Wash Compatibility Do a big load in the front-loading washer up top while the smaller LG SideKick unit simultaneously washes a second load down below. Pyle Compact & Portable Washing Machine Compact & Portable Washing Machine - Mini Laundry Clothes Washer Features: Convenient Top-Loading Washing Machine Hassle-Free Operation: Simply Insert Detergent & Water Does Not Require Any Special Parts or Plumbing Watch it Work: Translucent Tub Container Energy & Water Efficient Design Ideal for Small Laundry Loads Perfect for Underwear, Socks, T-Shirts & Towels Rotary Control Wash Timer Compact & Portable Size Technical Specs: High-Powered Washing Motor: 180 Watt Wash-Load Capacity: 4.5 lbs. Water Tank Capacity: 19Liters Noise Level: 57dB Power: 110V Dimensions: 13.8&;&; x 14.1&;&; x 19. 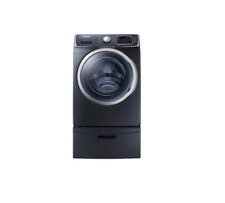 With this Samsung front-load washer, your clothing and linens get the special care they deserve. A large 4.5 cu. Samsung WF45N5300AV/US 4.5 cu. ft. Front-Load Washer - Black Stainless Steel. Large 4.5 cu. This drawer slide rail (part number 4276ER0002A) is for laundry appliance pedestals. Drawer slide rail 4276ER0002A supports the pedestal drawer as the drawer slides in and out. Wear work gloves to protect your hands when installing this part. Samsung WV60M9900AV/A5 6.0 Total cu. ft. FlexWash™ Washer Black Stainless Steel. ft. FlexWash™ Washer. TheSamsung Black Stainless Steel 6.0 Total cu. The largest 5.0 cu. ft. upper washer gives you a perfect place to wash your smaller loads. This drawer slide rail (part number 4276ER0001A) is for laundry appliance pedestals. Drawer slide rail 4276ER0001A supports the pedestal drawer as the drawer slides in and out. Wear work gloves to protect your hands when installing this part. DC75-00010G Capacitor for washer machine Samsung 50 Mf for 250 Vac. DC75-00010G Capacitor for washer machine Samsung 50 Mf for 250 Vac.. Condition is New. Shipped with USPS First Class Package. Features high burst pressure, braided, reinforced EPDM rubber hose. 23.5" anti tip balcony base. Washers are included. Helpful Links. Use with both hot and cold water lines. WM Harvey 3/8 id x 6' 093260 Washing Machine Inlet Hose FREE SHIPPING! New in package harveys 3/8 id x 6' hose washing machine hose, 90 degree goose neck 3/4" fittings on both ends, selling as is, free shipping in us! , thanks for looking! 1 out of 5 stars - WM Harvey 3/8 id x 6' 093260 Washing Machine Inlet Hose FREE SHIPPING! 1 product rating1 product ratings - WM Harvey 3/8 id x 6' 093260 Washing Machine Inlet Hose FREE SHIPPING!